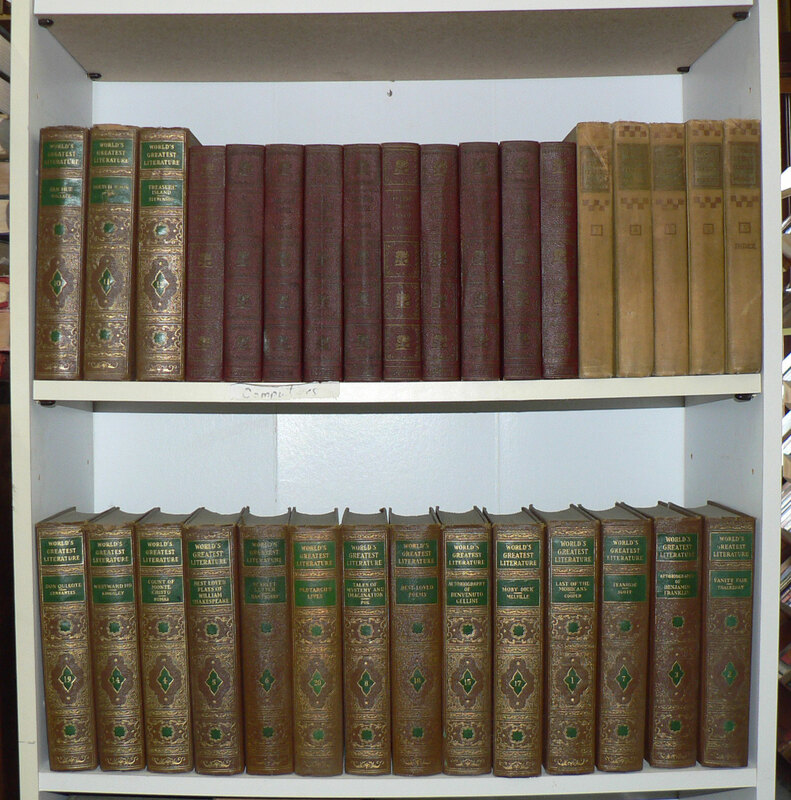 17 volumes from the "World's Greatest Literature" series. 5 volumes (with index) of "Short Story Classics: Foreign"
Contest closed, will post an update with the winner in a moment. Love love love your give-aways! Keeping my fingers crossed for this one! Count me in! These would be a great addition to my collection. More books in which to leave bookmarks! I would love these! Wow! Aww man, I want one. They're so pretty. Aww man, I want one of those. They're so pretty! Those would be great for my growing collection. I am working on a collection, but so far haven't gotten around to these...would love them for my futures students. I have new bookshelves. IT'S A MATCH MADE IN PULPY HEAVEN! ok, I'll give it a shot! That's a huge haul O' books! Definitely in on this one. One can never have too many books. beautiful books; I'm sure I could find a use for them. Really hoping for this one! Great giveaway! Would be a great way to start a great library for my kids. This is absolutely amazing!!!!! I'd have to build another shelf, but it would be worth it!! Someday I WILL win! Unless, of course, the end of the world really is tomorrow. Oh my gosh, these give aways are absolutely amazing! Fingers crossed! Oh, do I sense a rivalry brewing? Wow, what a set!! I know a fabulous spot for these in my house..
Wow! I'd really love those. I love your site. I also love free books!! Hope you are having a great day. Good gravy, what a lovely giveaway! Not sure if my first comment posted; if not, please enter me. Thanks! Looks good. Count me in. Oh, a complete set of Kipling would be so wonderful but living in Australia probably makes me ineligible. Lucky, lucky winner, though. Just the Kipling would be wonderful but all of these?? WOW!! That's one fantastic giveaway! Just the Kipling would be enviable enough... but I'm interested in the other sets too. I am usually at work when you do your giveaways so....crossing my fingers! What a great giveaway ! 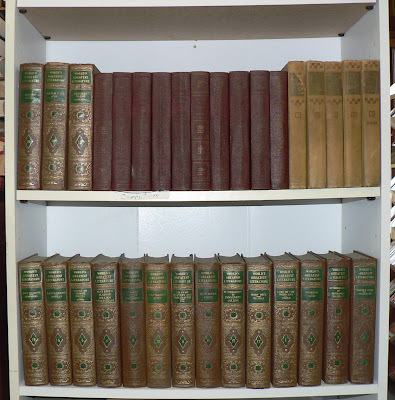 !I love the "World's Greatest Literature" , classic books are so important in a bookshelves ! This time, I'm expecting to be lucky ! What a great set of books!! Thank you. Like I need more books, but these are just too wonderful to pass up! Kipling sounds tempting, and I always have catch up reading to do in the canon. Thanks! Wow! What a great giveaway. You are amazing. I'm totally in.